Eastern Healing, with offices in Wheaton and Joliet, is a modern wellness practice based upon ancient methods for the benefit of the patients. It is run in a professional manner with the highest standards, accreditation and hygiene practices to assure patient satisfaction. Eastern Healing's Founder, Peter Harvey is an experienced licensed acupuncturist and an accomplished professional in the practice of Traditional Chinese Medicine. Although considered “alternative” medicine, here in the Western Hemisphere, Eastern Healing is focused on treating the patient by finding the cause of their primary discomfort. 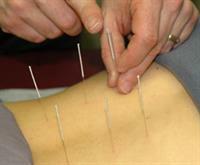 The tools we use to correct these problems are acupuncture, herbal therapy, lifestyle adjustments and Chinese massage. Each of these practices have one thing in common: they rely on the body’s innate ability to heal itself by removing obstacles and stimulating the healing power of channeling the body’s energy, or chi.